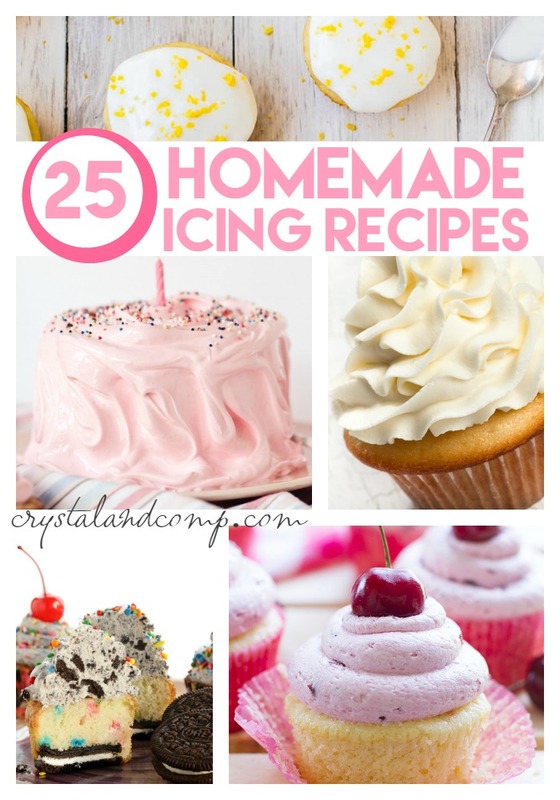 Have you ever made homemade icing before? Is not that hard, I promise! And the creations and alterations you can make are endless! Last week we celebrated Nick and Luke’s 10th birthday and made these Oreo Cookie Cupcakes. They were a huge hit. 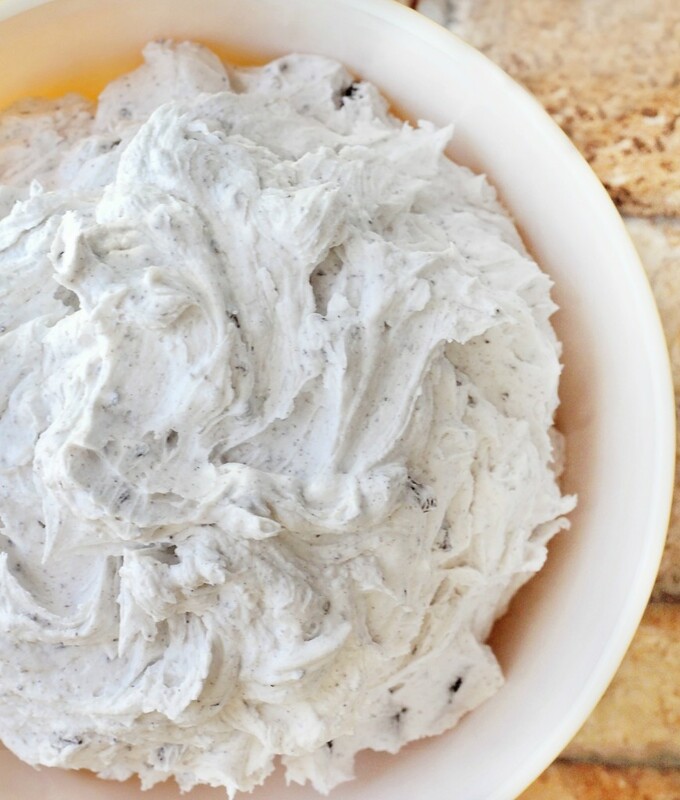 To top them, of course we made Oreo icing. It was so easy and we simply used my homemade buttercream icing recipe as a base. Let me show you how you can make this too! Gather up your supplies for the homemade buttercream icing and mix according to the instructions here. To make this super easy, I use my standing mixer. Seriously, it is such a lifesaver. I have had this mixer for almost 10 years and it is still running strong! Once the icing is mixed leave it in the mixer bowl. 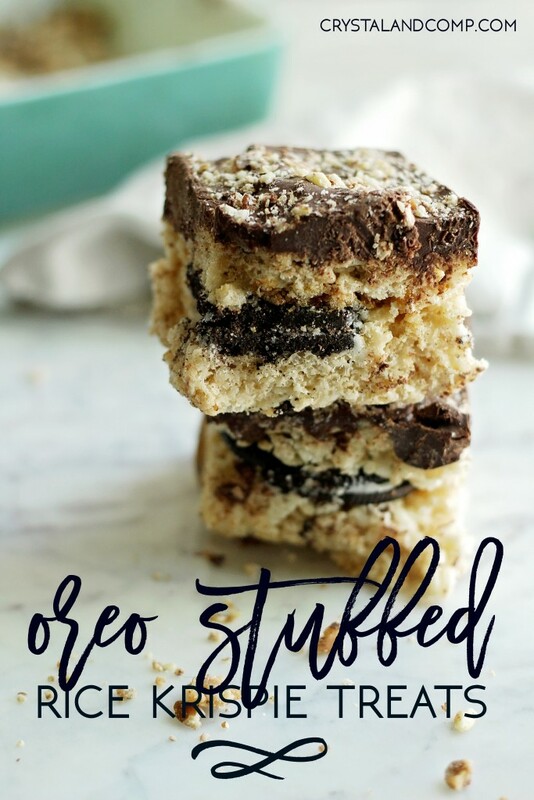 In the gallon Ziplock bag, add one sleeve of Oreos. Seal the bag well, removing all of the air first. Use your hand or a rolling pin to crush the cookies into small pieces. 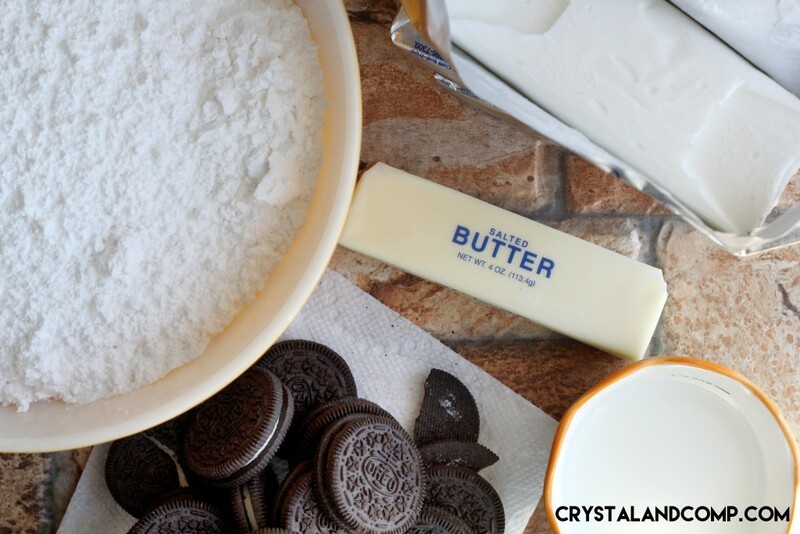 Once well crushed, add the Oreos to the icing that is in the mixer. Turn the mixer back on low and allow the cookie pieces to mix well into the icing. The icing is now ready! You can store it in the fridge for a couple of days in an airtight container. I like to put the icing in the fridge for an hour or so before I use it just to firm it up a bit more than it already is. 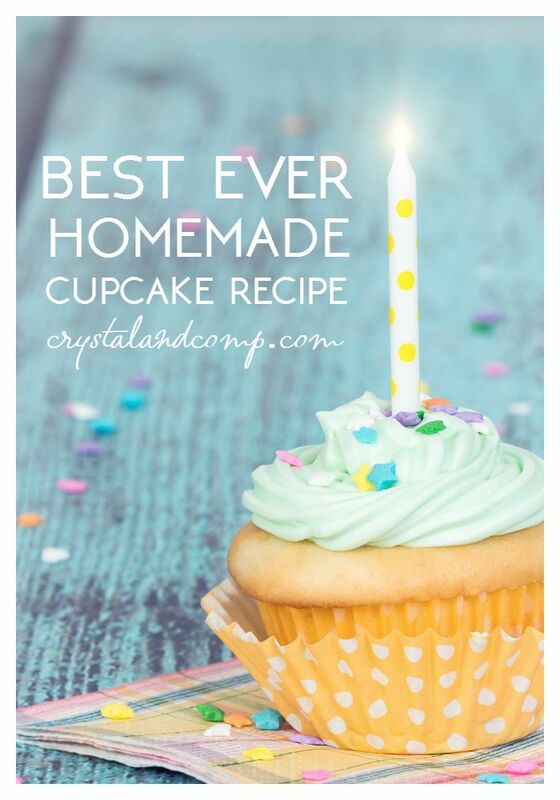 If you don’t have time for this, no worries, it really is an already great consistently you can certainly go ahead and ice your cake or cupcakes! Here is what it looks like right out of the mixer. Here are the Oreo Cookie Cupakes we made. There is a whole cookie at the bottom of each cupcake! 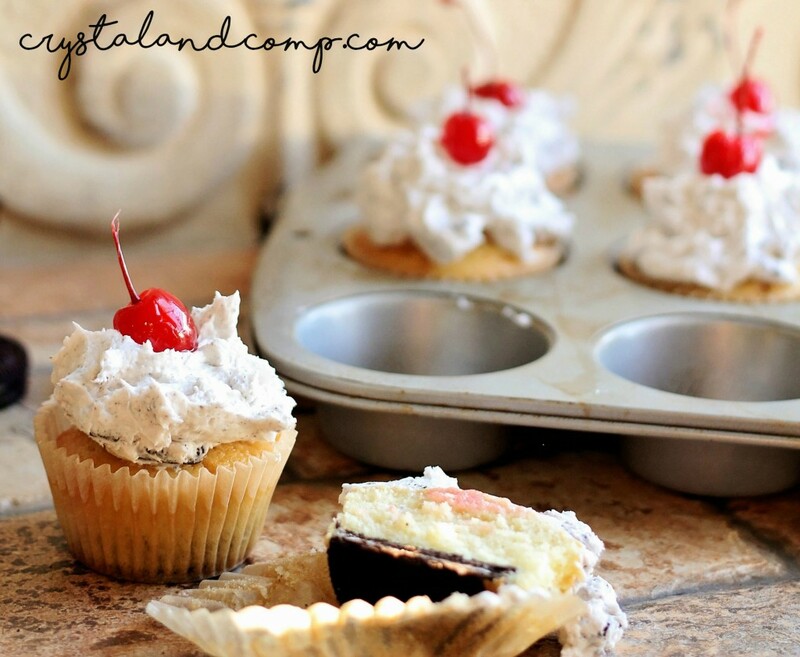 I then topped the cupcakes with a heaping spoonful of the Oreo icing and then a cherry. I love Oreo’s! Excited to try this recipe!!! Yum! This sounds so delicious and simple! 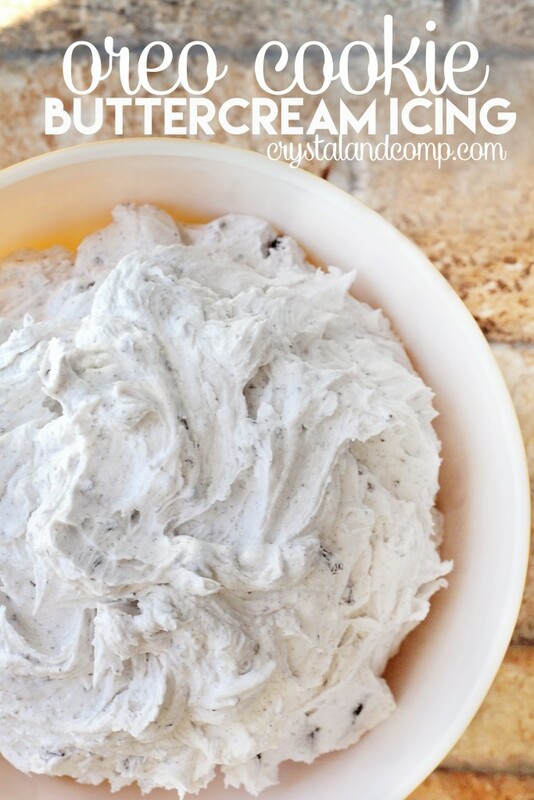 I had made an Oreo frosting a while back but lost my recipe so I’m happy I found another one! Thanks for sharing with us at Throwback Thursday! Now this is really a fun idea! Thanks for sharing with us on Throwback Thursday!! This looks divine! I love me some Oreos! Thanks for linking up to the Handmade Hangout! 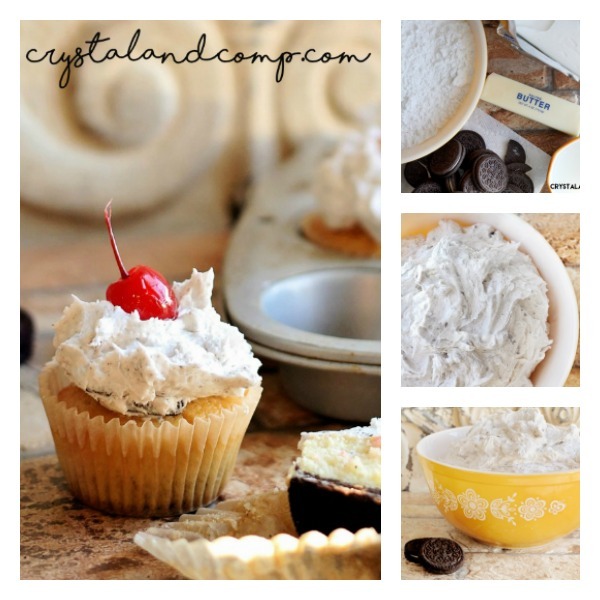 I’ll be featuring your recipe on my blog (www.occasionallycrafty.com) when the new linky goes live today at 6pm ET! I hope you’ll stop by and link up again! 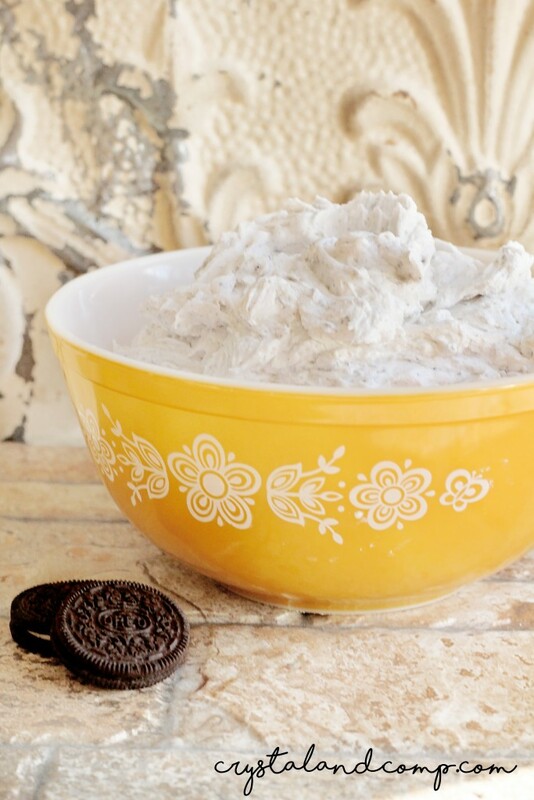 Ohmygosh I love love love Oreos and now I can put them in my icing?!? Awesome! Thanks for linking up at #SaucySaturdays. Ok this is the first time I have ever seen this type of icing! I am pinning it to try out. My teenager wants to be a baker and I know for sure she will want to try this too! Wow it looks amazing.